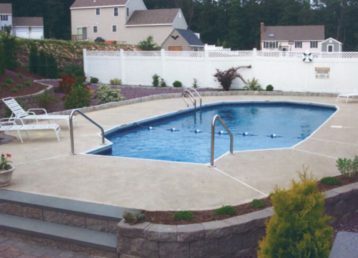 Learn about the benefits of professional pool maintenance services. All pool owners have to deal with the occasional wear and tear, which is why pool maintenance is so important. When your pool needs to be cleaned, or the water needs to be balanced, do you want to attempt to maintain your pool by yourself, or call a professional? Professional pool maintenance services are the best option, so you can be sure your pool is getting the proper care it needs. Pool experts have the knowledge and experience to know the right amount of chemicals to use to keep your pool clean and safe. A professional company works with pools of all shapes and sizes, and will know how to balance your pool and add chemicals as needed. By hiring the professionals, you take the guesswork out of treating your pool, and can feel confident that your pool water is healthy to swim in! Pool maintenance can be very time-consuming, especially if you have a large pool that needs to be cleaned frequently. Attempting to finish all of the necessary maintenance can take hours, and many pool owners procrastinate cleaning until even more time is required. Avoid this problem by simply hiring a professional to take inventory of what your pool needs, and have them take care of cleaning and services! In addition to saving time, a professional pool company will also save you a significant amount of money. When a professional frequently inspects your pool, they can catch any issues before they cause too much costly damage. A properly maintained pool will last longer and suffer from fewer problems, allowing your pool to stay in great shape for many years. Regina Pools & Spas offers a variety of pool maintenance packages all summer long! Get ready for next summer by hiring Regina Pools for our weekly, bi-weekly, or monthly maintenance services to keep your pool in pristine condition. At Regina Pools & Spas, located in Timonium, MD, customers have designed the way our business is run and have shaped our unique service philosophy: “Do it when they want, the way they want, and with what they want.” We hope to care for each person throughout the many years that they enjoy our products. We have an outstanding record with the Maryland Home Improvement Commission and have won diverse awards and recognitions for our pools and spas, including being the first Maryland pool company in the Aqua 100 Hall of Fame. Stop by our showroom or contact us by calling 410-252-5116 or emailing sales@reginapoolsandspas.com. Don’t forget to follow us on Facebook, Twitter, Pinterest, Instagram, Google+, and Houzz! This entry was posted on Friday, December 21st, 2018 at 1:05 pm. Both comments and pings are currently closed.